If you want to gain a greater sense of personal freedom, driving lessons can be a smart investment. Whether looking to get your first licence or transfer an overseas licence to Australia, having a professional instructor lead the way is a great option. However, choosing the right driving instructor can quickly become an overwhelming task. With difficulties like this in mind, we have created the following guide to explain why you should take this leap and invest in driving lessons. Every situation is different, but there are a few universal tips that should be considered. From improving your driving abilities to ensuring a passing grade on your driving test, here are a few of the most important reasons that you should invest in driving lessons. Throughout Australia, driving lessons can cost learners anywhere from $45 to $95 per an hour. Whilst a $95 driving lesson could be just as effective as a cheaper lesson, any driving lesson from a qualified professional should be viewed as an investment. By investing a reasonable amount of money in yourself, you are sure to save lots of time and stress in the long run. While each individual is different, a few driving lessons are typically all you really need to be ready to ace your driving test the first time around. This means that an investment of a few hundred dollars can help to save you from the stress and anxiety of having to undergo your driving test multiple times. If you are like many of us who have learned to drive, it is likely that you might have already attempted your driving test unsuccessfully. This can be a truly jarring experience, especially for those who have never held a licence before. If you find yourself in this situation, we’ve got great news: a few sessions with a professional driving instructor are almost guaranteed to restore your confidence. Most of the time, failed driving tests occur due to technicalities or simple mistakes that quickly add up. A couple of hours with a driving coach can help you to solve these issues and can have you holding your freshly minted licence in no time. One of the positive aspects of the road test is that it is fairly standardised throughout Australia, meaning that individuals in each state are required to show that they’ve mastered a similar range of driving skills. In other words, the “answers” to the driving test are already well known. Despite this fact, only 58% of the driving tests taken throughout New South Wales in 2017 were passed. With this dismal pass rate in mind, a professional driving instructor can help guide you through mock road exams, which are an extremely effective way to practice the skills you’ll need while also getting a sense for the stress you’ll feel during your actual road test. For someone who just go their licence, nothing is more frustrating than getting into an accident shortly afterwards. Thankfully, professional driving instructors are well versed in defensive driving techniques, which help to mitigate the chances that you’ll be in an accident as much as possible. When weighed against the costs associated with a motor vehicle accident, it becomes even more apparent that driving lessons are an affordable investment that can help to save new drivers huge sums of money in the long run. Clearly, there are some very attractive benefits associated with investing in driving lessons from a professional instructor. With this being said, it is also important to note that the needs of each driving student are sure to be unique. With this in mind, we strongly encourage our readers to research the best driving instructors in their area and enroll in lessons with the one that seems to be the right fit for you. Best of luck, and we hope to see you out on the roads soon. Most people these days will search online. Unfortunately most driving school websites do not provide information about their driving instructors, in most cases you will get no say in who teaches you. They of course will make various claims about the quality of their teaching and driving test pass rates. The world is changing fast and whilst driving schools have been slow to adapt, there are now websites that allow you to choose & book your own instructor online. The amount of information you have access to can vary greatly. 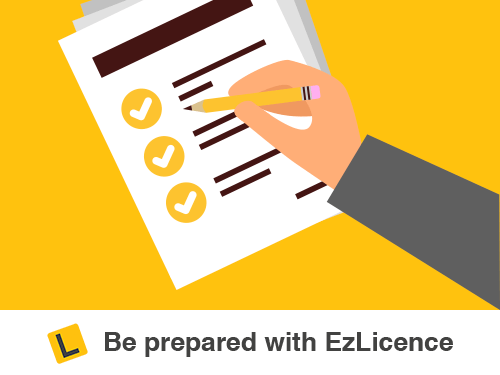 Here at EzLicence we provide access to the largest number of driving instructors in Australia. We have built our business from the ground up with the learner driver and their parents in mind. We seek to provide as much information as is possible to allow you to make an educated decision. 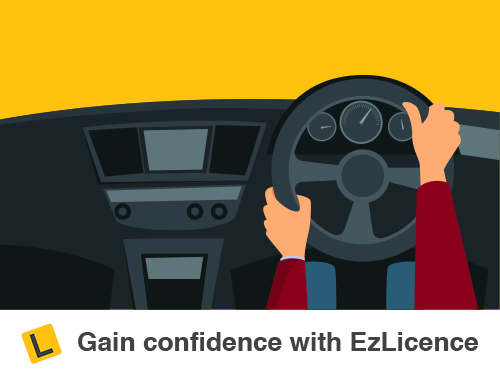 All EzLicence Driving Instructors meet the high standards held by the Roads and Maritime Services and are licenced and accredited, so you can be sure that what you are learning is correct. We have also validated the credentials of all our instructors and we monitor all learner feedback. Getting driving lessons is always your choice, we believe there is a strong argument that engaging a professional should not be considered a ‘cost’, more a wise investment in your independence and safety.